Welcome to another Farm Fresh Friday on the Farm - sorry I am posting this a bit late!! But I thought I should get it up here anyway lol. The theme this week is Summer Lovin'. Down here in Australia we are about to head into winter, so doing a summery card was just what I needed to make me feel a bit warmer. 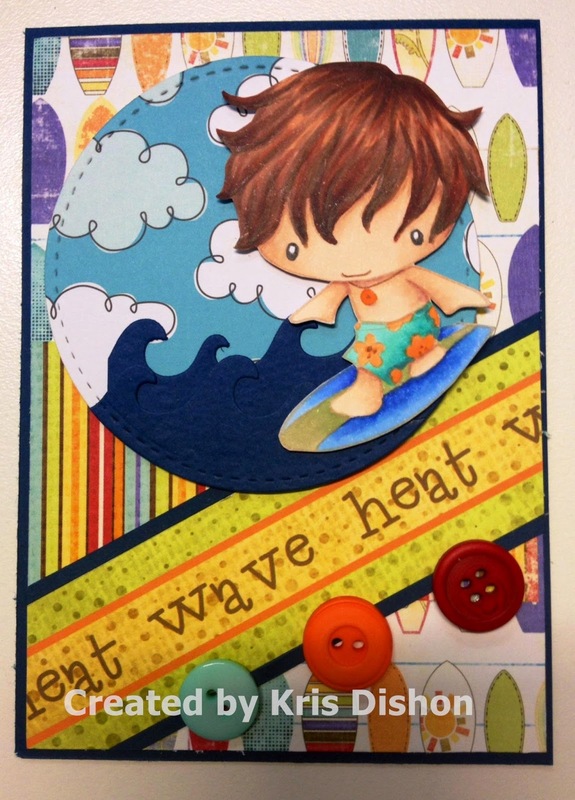 I pulled out one of my faves - Surfer Ian. Hope you all play along this week.